"I am using Andriod Oreo. Im locked out of my phone. I use a lock screen PIN. How can I bypass the lock screen?" The ultimate and easy method to avoid any unauthorized access on your Android device is to set up a lock screen. Luckily, all Android devices are integrated with built-in security system that let you lock your device's screen with password, pin, pattern, or fingerprint. What if you forget your device lock screen password? There is no doubt that it is the most annoying situation when you are not able to access your device and its data. Thankfully, you don't have to panic as there are several methods you can try to bypass the Android lock screen without resetting your device. With 4uKey for Android, you can easily and quickly bypass the Android lock screen without much trouble. It is one of the most reliable Android Unlocker tools available to unlock any type of screen lock. No matter for what reason your Android phone gets locked, this powerful software can solve help you to get inside into your locked phone with ease. The software is integrated with auto system detection feature that automatically detects whether your device is ready to perform the next step. This will help you to avoid any damage to your phone while unlocking procedure. 4ukey is secure unlocking process. It can bypass any type of Android lock screen password in just a few minutes. The tool has simple and easy device unlocking operations. It works on every Windows and Android version. It supports a wide range of Android models, including HTC, Motorola, Samsung and many more. It is a very effective Android unlocker tool. No technical skills are required to use 4uKey. It is a virus-free and spy-free tool to bypass the device lock screen password. Step 1 Run the 4uKey on your system after downloading and installing it from its official site. Next, connect your phone to the system using a USB cable. Step 2 After software detects your connected device, click on the "Remove" button and this will download the suitable package to bypass the lock screen. Step 3 Finally, tap on the "Ok" button when you get a message for confirmation. Within a few minutes, you will be able to get access to your locked phone. Another easy way to bypass your device lock screen is taking assistance from Android Device Manager Service. This method also works on every Android OS and the unlocking procedure is truly easy and simple. However, it works only if you are logged into your Google Account on your phone. And then, you can access this service from any device or computer to unlock your phone remotely. Step 1 To begin the process, access the Android Device Manager Service from your system browser. Next, log-in to your Google account ID that you are using on your locked Android device. Step 2 After the sign-in process, select your device and then, click on the "Erase" button as shown in the below figure. It will erase Android and bypass lock screen without password. 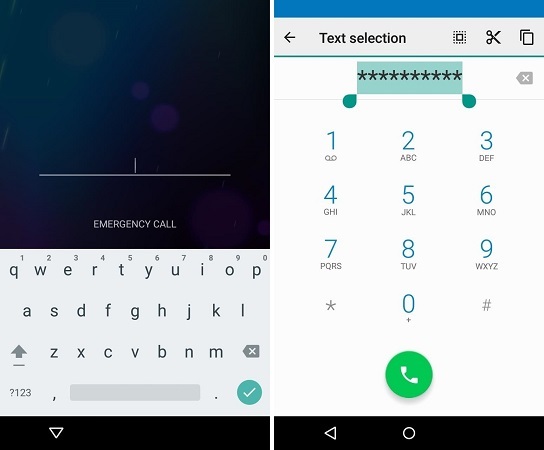 If you are a Samsung user and locked out of Android phone, then you can use "Find My Mobile" Service provided by Samsung to its users to bypass the lock screen. It is an ideal solution for Samsung users to unlock their Android devices without any hassle. However, it works only if you are logged into your Samsung account. 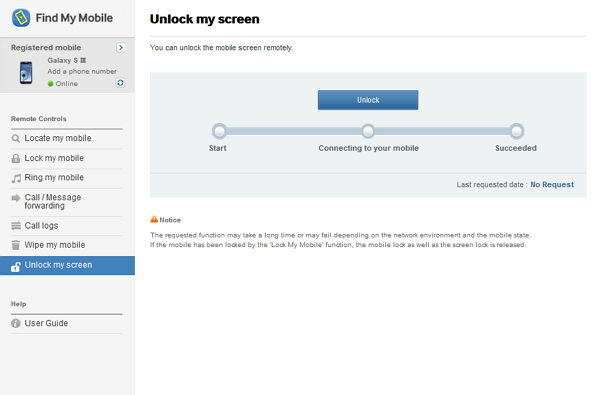 Step 1To commence the process, access "Find My Mobile" service from your system browser and then, log-in to your Samsung account. Step 2 After that, tap on "Lock My Screen" option located on the left side. Now, enter a new PIN and then, tap on "Lock" button. Wait for a while, it will reset your device password and you can use it to access your locked Samsung phone without reset. You can also use the "Forgot Pattern" feature available by default in Android device running 4.4 or lower version to bypass your device pattern lock screen. However, this method works only if you are logged into your phone with Google account before your device gets locked. Step 1 Try some fail password attempts on your device lock screen to get the "Forgot Pattern" option. Once you got it, click on it and then, choose "Unlock with Google account details" option. Step 2 Next, enter your Google account ID and password to reset your device lock screen password. Google will send you an email with a code to reset the pattern lock. When it comes to bypassing passcode lock screen on Android devices using ADB, there is a requirement you need to fulfill in order to use this method. It is that you can only use this method if you have enabled USB debugging option on your phone before it gets locked. Moreover, your phone should also have permission to access or connect your device on the computer via ADB. 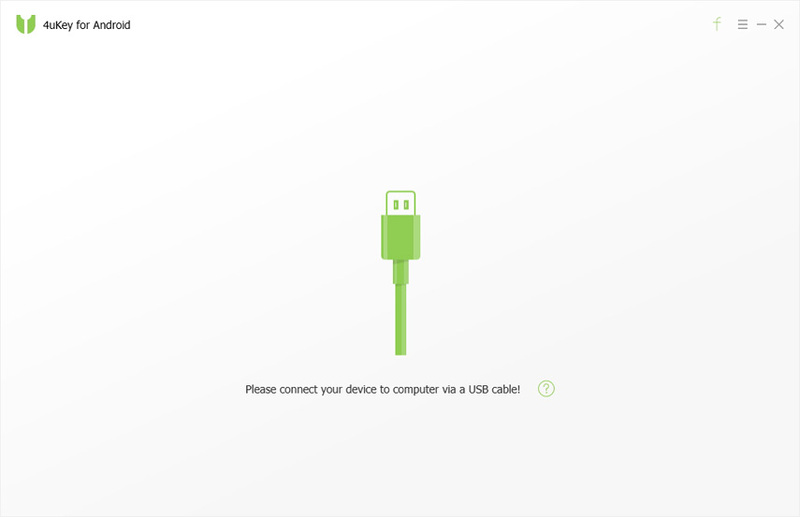 Step 1To start with, connect your locked phone to the computer with the help of USB cable. Next, launch the command prompt in your ADB installation directory. Step 2 After that, enter the command "adb shell rm /data/system/gesture.key" and then, hit "Enter". Step 3 Next, restart your phone and your device lock screen will be gone. However, it is a temporary method and that's why, you have to set a new lock screen on your phone before it gets locked again. Another easy way to bypass Android lock screen without reset is to boot your phone into Safe Mode. It is an effective method if you are using third-party lock screen app. Step 1To begin with, turn off your phone and boot into Safe Mode by tapping on the "Ok" button. Step 2 Now, it will disable the third-party apps, including lock screen. Next, reboot your phone again to come out of Safe Mode and you will be able to access your device. The last method you can try is crashing the lock screen UI to bypass your Android lock screen password. This method works only on Android device running 5.0-5.11 version. Step 1To begin the process, click on "Emergency Button" and then, enter 10 asterisks via the dialer. Next, copy and paste the same asterisk on the same dialer pad until it stops showing you the paste option. Step 2 After that, return back to the lock screen and here, click on "Camera Shortcut icon and then, click on "Settings" option. Step 3 Here, you have to enter the password, but you need to repeat the same thing you did before. So, long press and keep on doing copy and paste. Step 4 Within a few minutes, it will crash the lock screen and you will be able to access your device. Now, set a new lock screen password. That's how to bypass android lock screen without reset. In this guide, we have covered every possible method to get inside into your locked phone. But, it is Tenorshare 4uKey - Bypass Android Lock Screen that can help you to bypass any type of Android lock screen without any hassle.